FOREST WHITAKER in "The Last King of Scotland," Leonardo DiCaprio in "Blood Diamond," Ryan Gosling in "Half Nelson," Peter O'Toole in "Venus," Will Smith in "The Pursuit of Happyness"
HELEN MIRREN in "The Queen," Penelope Cruz in "Volver," Judi Dench in "Notes on a Scandal," Meryl Streep in "The Devil Wears Prada," Kate Winslet in "Little Children"
ALAN ARKIN in "Little Miss Sunshine," Jackie Earle Haley in "Little Children," Djimon Honsou in "Blood Diamond," Eddie Murphy in "Dreamgirls," Mark Wahlberg in "The Departed"
JENNIFER HUDSON in "Dreamgirls," Adriana Barraza in "Babel," Cate Blanchett in "Notes on a Scandal," Abigail Breslin in "Little Miss Sunshine," Rinko Kikuchi in "Babel"
MARTIN SCORSESE for "The Departed," Clint Eastwood for "Letters From Iwo Jima," Stephen Frears for "The Queen," Paul Greengrass for "United 93," Alejandro González Iñárritu for "Babel"
The 2006 nominees continued Hollywood's trend of nominating relatively low-to-modestly budgeted films with ensemble casts and personal subjects, again eschewing big budgeted Hollywood studio epics, though in this year, three of the Best Picture-nominated films were at least partially bankrolled by a major studio. Three of the five films were released by specialty divisions, while director Clint Eastwood's Letters From Iwo Jima was able to be made by a studio, using his reputation to get financing for its narrowly-appealing content. It was one of the most diverse and international rosters of nominees and winners in recent Academy history. The five films that were nominated for Best Picture had a total of only 26 nominations -- the fewest since 1932/1933 (when 10 films were nominated for the top prize but there were fewer awards categories). No single film received nominations in more than six categories. And the Oscar wins were spread out over numerous films - many received either one or two awards. 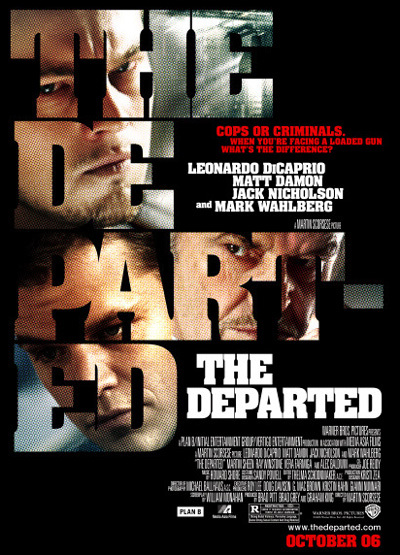 The Departed (Warner Bros.) (with 5 nominations and four wins including Best Director, Best Screenplay Adaptation, and Best Film Editing), a gritty tense cop suspense-thriller and crime drama, and a loosely-based remake of the action film Infernal Affairs (2002, HK) (aka Mou Gaan Dou, or Wu Jian Dao) by director Martin Scorsese - it was the first - and only - remake of a foreign film to win Best Picture. It told about a pair of Irish Bostonians, one an undercover cop (Leonardo DiCaprio) spying on the local organized crime family, the other a police plant (Matt Damon) hired by the same family. Its tagline was: "COPS or CRIMINALS. When you're facing a loaded gun, what's the difference?" This was Scorsese's second film remake, the first being the twice Oscar-nominated Cape Fear (1991), and the highest budgeted of the five Best Picture nominees at $90M. Time Warner Inc.'s studios (including New Line and Picturehouse), due in part to Pan's Labyrinth (6 nominations and 3 wins) and The Departed (5 nominations and 4 wins), received the most Oscar nominations with 31 (spread out over 11 films), and came away with the top two films with the most wins. Viacom Inc.'s Paramount units (including DreamWorks SKG) had 23 (for 5 nominated films) and Walt Disney Co. had 17. News Corp's Fox studios received 10 nominations, while General Electric Co's Universal Pictures had five for Children of Men and United 93. Once again, the two favored Best Director nominees (Martin Scorsese and Clint Eastwood) from 2004 were rematched again this year in the category. The winner was sentimental favorite 64 year-old Martin Scorsese (his sixth Best Director nomination and his first Oscar win), for the bloody crime film The Departed. He had never won an Oscar despite receiving five previous directorial nominations for Raging Bull (1980), The Last Temptation of Christ (1988), GoodFellas (1990), Gangs of New York (2002), and The Aviator (2004), as well as two screenplay nominations for GoodFellas and The Age of Innocence (1993). Three of the year's most-nominated films were the work of Mexican directors. The Mexican directing troika of Alejandro Gonzalez Inarritu, Guillermo del Toro and Alfonso Cuaron took a combined 16 nominations for their films Babel (with seven nominations), Pan's Labyrinth (with six nominations including Best Foreign-Language Film) and Children of Men (with three nominations), respectively. Alejandro Gonzalez Inarritu was the first Mexican director nominated for the top prize. Animated films were returning to the box office dominance they enjoyed in the 1950's under Disney, with four of the top 10 grossing films of 2006 being animated films: Cars (#2 in box office), Ice Age: The Meldown (#6 B.O.) (no nominations), Happy Feet (#7 B.O. ), and Over the Hedge (#10 B.O.) (no nominations). Weeks before the Academy Award nominations announcement, Luc Besson's strange CGI animated film Arthur and the Invisibles (featuring an eclectic English-language all-star voice cast of Madonna, Robert De Niro, Mia Farrow, Harvey Keitel, Chazz Palminteri, Emilio Estevez, and rapper Snoop Dogg) was declared ineligible (less than 75% of the film was animated), reducing the number of pool of eligible nominees from 16 to 15, which, in compliance with Academy rules, reduced the number of eligible nominees to 3. This effectively removed the chance of having 5 nominees in the Best Animated Feature Film category for the first (and only) time since 2002. All three nominees were CGI-animated films, reversing the previous year's inclusion of no CGI films at all. With five African-Americans, two from Spanish-speaking countries and an Asian, it was the most ethnically-diverse lineup ever among the 20 acting nominees. (Also add the three British, one Canadian, and one Aussie performer to make it even more diverse!) Ten of the 20 acting nominees were first-timers. The other 10 nominees shared a total of 49 nominations and three (Streep, Dench and Blanchett) were previous Oscar winners. Of the ten Best Actor and Best Actress nominees, only Helen Mirren was in a Best Picture nominee [Trivia Note: the last time this happened was 75 years earlier in 1931/32, when Wallace Beery was nominated for The Champ (1931/32)]! This year marked only the third time in Oscar history that African-Americans won two of the four acting prizes (it also occurred in 2004 and 2001). In the Best Actor category, four of the five nominees represented the sole nomination for that picture, and all of them had never won an Oscar. Two were long-time Oscar snubs. It was the third time in Oscar history that two black performers were among the five Best Actor nominees (this also occurred in 2001 and 2004). The winner was 45 year-old Forest Whitaker (with his first nomination and first win) for his hammy portrayal of brutal, infamous Ugandan dictator Idi Amin, who was responsible for the genocide of over 500,000 Ugandans in The Last King of Scotland (its sole nomination). He was the fourth African-American actor to win the Best Actor Oscar. Jesus Camp, an illuminating documentary about the charismatic Pentecostal movement, in particular, Pastor Becky Fischer's Evangelical summer camp ("Kids on Fire") in Devil's Lake, North Dakota that teaches children to "take America back for Christ"
Three of Dreamgirls' eight nominations were for Best Original Song - this tied the record that was set by Beauty and the Beast (1991) (with one win) and The Lion King (1994) (with one win) - however, its overwhelming odds to win in the category were upset by the documentary An Inconvenient Truth's Best Original Song Oscar win for "I Need to Wake Up". The Honorary Lifetime Achievement Oscar went to 78 year-old famed Italian composer Ennio Morricone, best known for scoring Sergio Leone's films - in particular the spaghetti western "Man With No Name" trilogy including: A Fistful of Dollars (1964), For a Few Dollars More (1965), and The Good, the Bad, and the Ugly (1966). Other Leone films he scored included Once Upon a Time in the West (1968), A Fistful of Dynamite (1971), and Once Upon a Time in America (1984). He had five unsuccessful Academy Award nominations for Days of Heaven (1978), The Mission (1986), The Untouchables (1987), Bugsy (1991) and Malena (2000). Some of the most critically acclaimed films of the year and their directors went unhonored for Best Picture. The most shocking Best Picture omission was for Dreamgirls, which earned 8 Oscar nominations, considering its previous win as the Best Musical or Comedy for the Golden Globes awards. Un-nominated director Bill Condon's film was a lavish and vibrant screen adaptation of Michael Bennett's popular Broadway musical about a trio of soul singers The Dreams, in a thinly veiled roman a clef of the real Motown singing group The Supremes. [Note: Dreamgirls received eight Oscar nominations, the most of any nominee, without a Best Picture nomination, and came away with only two wins: Best Supporting Actress, and Best Sound Mixing. Only They Shoot Horses, Don't They? (1969) had more Oscar nominations (9) without a Best Picture nomination, but it didn't have the most Oscar nominations in its year of competition. In the same year, Anne of a Thousand Days (1969) had more nominations (10), but it was nominated for Best Picture. Therefore, Dreamgirls with 8 nominations set a major record - it was the first-time ever in Academy history that the film with the most nominations failed to earn a Best Picture slot.] 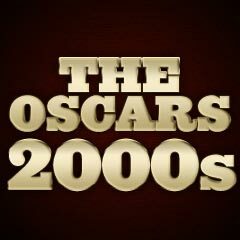 Pan's Labyrinth earned 6 nominations and 3 Oscars (Best Art Direction/Set Decoration, Best Cinematography, Best Makeup) and Blood Diamond earned 5 nominations (with no wins) - both without a Best Picture nomination. Richard Eyre for Notes on a Scandal (with four nominations including Best Actress and Best Supporting Actress, and no wins), a sexual thriller based in a London-area working-class high school some dubbed "Fatal Attraction for the art-house crowd"
Other worthy Best Picture nominees included Borat: Cultural Learnings of America for Make Benefit Glorious Nation of Kazakhstan, Casino Royale, Overlord, Half Nelson, The Proposition, Infamous, Stranger Than Fiction, and The History Boys. There were some major omissions among the Best Song nominations - - including Chris Cornell's hard-driven song "You Know My Name" from Casino Royale, and songs from two animated films: Prince's "Song of the Heart" in Happy Feet, and any of Ben Folds' original, insightful songs, including "Family of Me" and "Still" in Over the Hedge. The biggest Foreign Language Film omission was the domestic crisis drama Volver (Sp.) - it had been considered a possible front-runner for the Foreign Language Film prize. It was also not nominated for Best Director (Pedro Almodovar). The biggest Animated Feature Film snub of the year was DreamWorks/PDI's CGI-animated Over the Hedge, a clever adaptation of the newspaper comic strip about con-artist raccoon R. J. (voice of Bruce Willis) who tricks a group of forest animals led by cautious turtle Verne (voice of Garry Shandling) into stealing food from a suburb.